Season 7 of “Game of Thrones” is shaping up to be a showdown between the Houses Stark, Lannister and Targaryen. The Baratheons haven’t been in the mix for quite some time, but don’t tell Maine or Ohio. 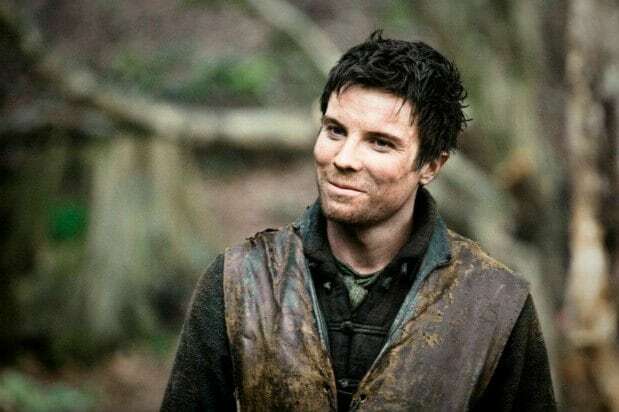 According to an analysis of Google search data from Decluttr.com, residents of those two states are still hoping that a Baratheon will take the Iron Throne, which could be difficult given that the only living member of the clan was lost in a rowboat back in Season 3. 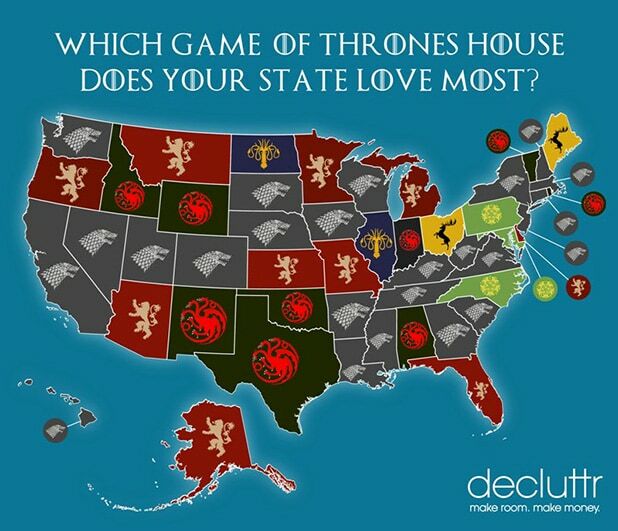 Most states, 24 in total, favor House Stark, including Washington, California, Nevada and New York. 10 states, including Michigan, Minnesota and Missouri, support the Lannisters, while House Targaryan comes in third with nine states. "Game of Thrones" returns Sunday for its highly-anticipated Season 7, which will consist of just seven episodes. That may still be more than enough to totally wipe out the HBO epic's current Top 5-rated TV episodes. 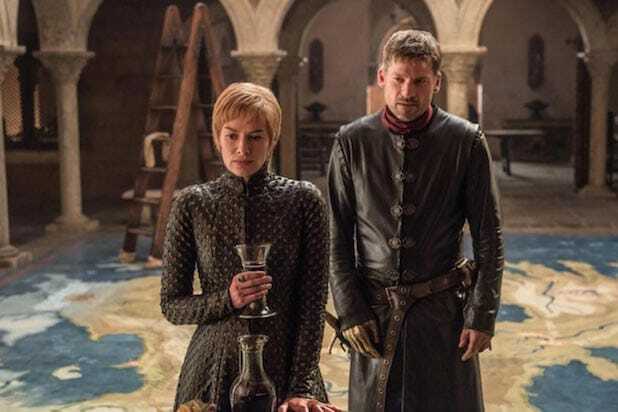 Scroll through our gallery to see which of the 60 "Game of Thrones" episodes to-date have pulled in the most total viewers, per Nielsen's Live + Same Day metric. Episode Title: "The Red Woman"
Episode Title: "The Wars to Come"
Episode Title: "The Winds of Winter"
Will any of these stand after the curtain closes on this summer's (shortened) run? We'll found out in about two months. For now, let the battle for the Iron Throne (re-)commence!